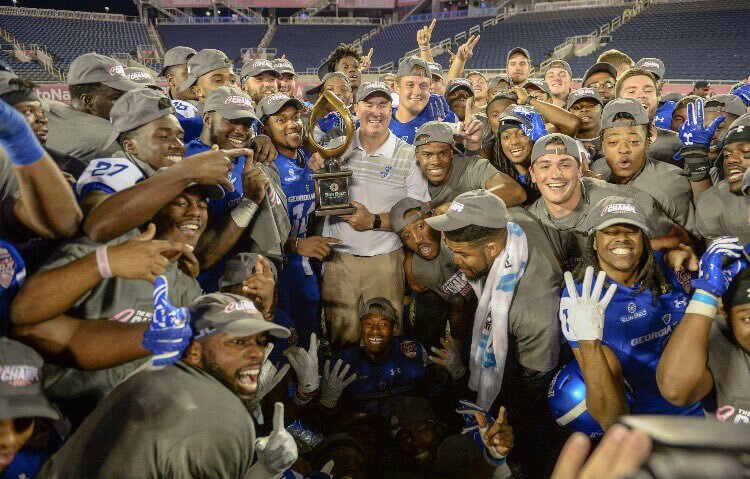 Led by Most Valuable Player Conner Manning and a strong effort by the defense, Georgia State earned the first bowl victory in school history with a 27-17 win over Western Kentucky in the AutoNation Cure Bowl at Camping World Stadium. The win also gave the Panthers (7-5, 5-3 Sun Belt) their school-record seventh victory of the season. Manning, the senior signal-caller, completed 20 of 28 passes for 276 yards and one touchdown while directing a GSU offense that also rushed for 143 yards. 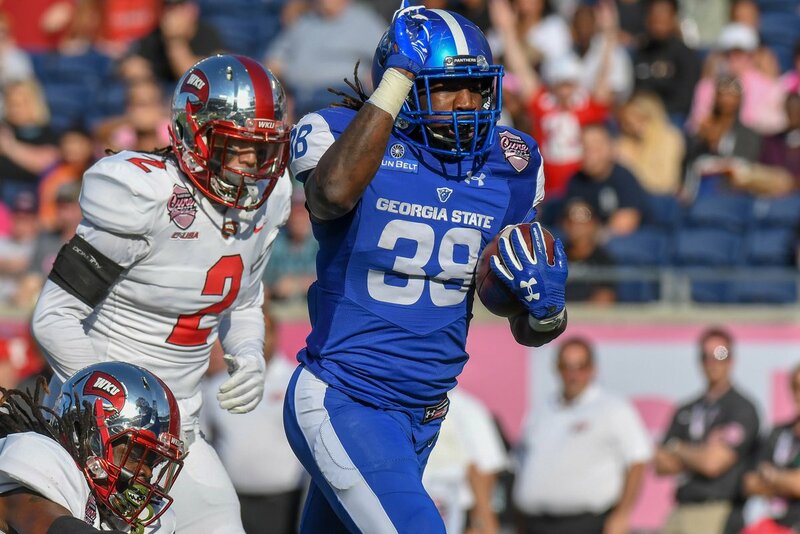 Georgia State accomplished that while essentially playing without top weapon Penny Hart, who was battling an ankle injury and was limited to a handful of snaps. The Georgia State defense limited Western Kentucky’s (6-7, 4-4 CUSA) high-powered offense to 349 yards. By collecting six sacks, including two by senior Mackendy Cheridor, the Panthers set a school record by limiting WKU to a net of minus-two yards rushing. The Panthers used a flea flicker to take a 20-10 lead with 5:55 left in the third quarter. After two flips, Manning got the ball back and found tight end Roger Carter all alone for a 42-yard touchdown. Then Kyler Neal added the clinching score with a 1-yard one, capping a 16-play, 74-yard drive that ate up nine minutes on the clock and put the GSU ahead 27-10 with 5:50 left in the game.